Bitten is a Canadian drama/fantasy/horror TV series starring Laura Vandervoort, Greg Bryk, Greyston Holt, Steve Lund, and others. 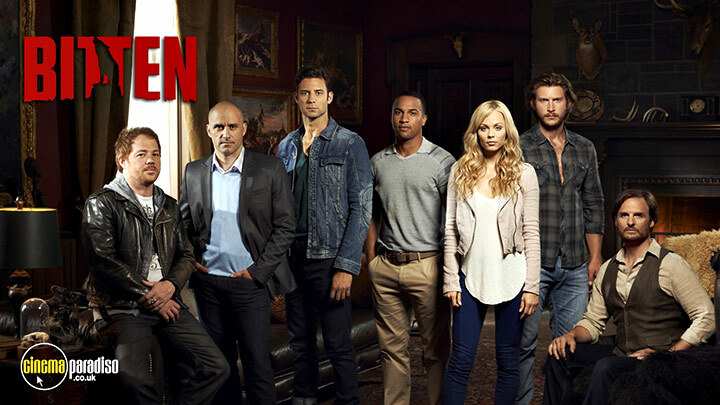 The show mainly focuses on Elena Michaels (Laura Vandervoort), who returns to her ‘grimy’ ways after a call from her pack leader gets her back in the supernatural world. Events include mysterious foes, relics from times long-past gone, and double-crossings from characters one'd least expect. Laura Vandervoort, Greyston Holt, Greg Bryk, Paul Greene, John Ralston, Steve Lund, Tammy Isbell, Michael Xavier, Paulino Nunes, Tommie-Amber Pirie, Genelle Williams, Sofia Banzhaf, Alex Ozerov, Joel Keller, Fiona Highet, James McGowan, et al. Elena Michaels (Laura Vandervoort) is torn between two lives: the human life she was born into...and the werewolf life she was bitten into. Elena wants the same things most twenty-five year old women want: a stable home, a loving family, and a meaningful relationship with a sensual partner. But unlike most women, she ll never get these things, because her life is a little more complicated than most being the world s only female werewolf. Elena was formerly a member of The Pack, the powerful organized werewolf family that enforces a strict code of werewolf laws. Laws that ensure humans are safe among rogue werewolves, known as Mutts. The Pack also makes certain that werewolf existence remains a secret, because if it ever became known that their kind existed, a fearful public would hunt them down and exterminate them from the face of the planet. Elena had broken away from the Pack, trying to re-establish a human life, but at the outset of the series she s dragged back into the family business...much to her dismay. And it s not long until all hell breaks loose.